RaceFace and Easton’s BB power meter. 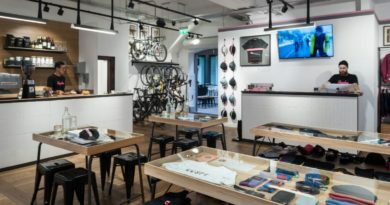 Having recently profiled powermeter specialist CyclePowerMeters we’re watching with keen interest how the tech side of this segment progresses as more firms bring to market their take on how performance data should be collated. Landing in our inbox this morning was a perhaps logical collaboration between Easton and RaceFace who have integrated their take on the power meter into either RaceFace’s Next R MTB or Easton’s EC90 SL road crank’s axle. At just 65 grams in weight penalty and hidden away from the elements, a 400 hour run time is said to be achieved per charge. Called the Cinch, the data collecting axle is primarily designed for road and cyclocross use and allows for both 1x and 2x setup. Data is captured not by measuring leg power, but instead by measuring torque across the axle through the non-drive side arm. The figure collected is doubled to calculate output as is the case in some Rotor systems. Sticking with RaceFace, the aforementioned Next R crank tips the scales at just 495 grams for a 32 tooth ring (no BB). 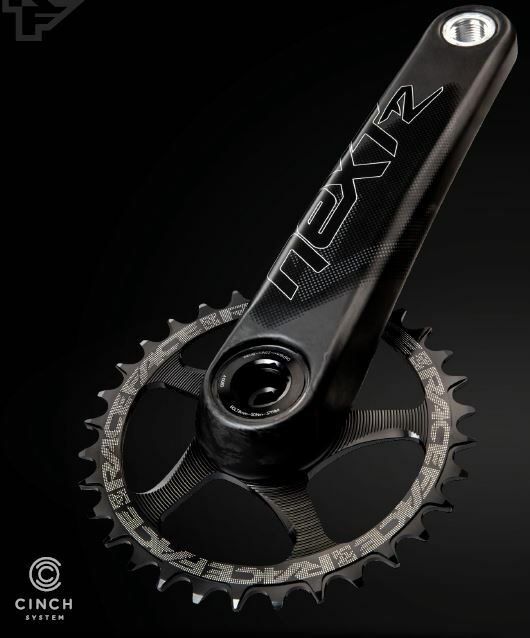 Made from uni-directional carbon in Canada this all mountain crank is badged as offering enduro strength at XC weight. Both 17o and 175mm crank lengths are available, with BB92, 68/73 BSA, 100mm BSA and PF30 bottom bracket options to be available. A beefed up 30mm spindle ensures things stay stiff and progressive. 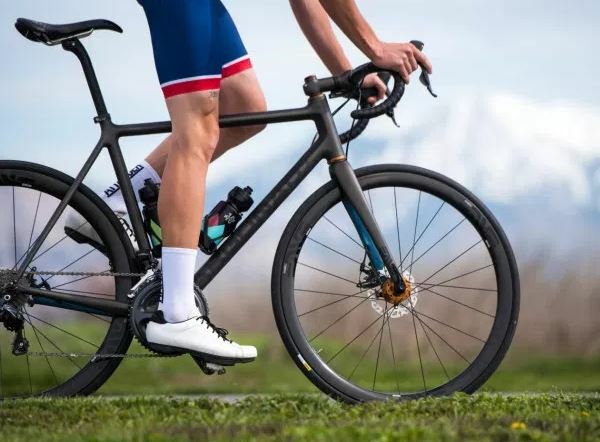 Designed to work specifically with sister-brand Mavic’s 12mm thru-axle Speed Release system, ENVE has debuted a disc-suited carbon fork AT $599. 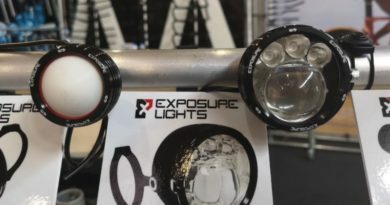 Meeting changing customer preferences head on, the Utah label says customers now seek out forks that will allow clearance for high volume tyres, as well as disc compatibility. For that reason the Speed Release fork will offer 140 and 160mm flat mount disc compatibility and rakes of either 43 or 50mm. “Traditional closed thru-axle drop out systems pose the problem of being both heavy and difficult for removing the wheel from the bike. The Mavic Speed Release system address these issues by providing the security of a closed drop-out thru-axle set-up, with the convenience and lightweight of a quick release,” adds ENVE. It was 2013 when the Pike landed int he RockShox catalogue creating what the firm dubbed a new category of fork and a “benchmark”. 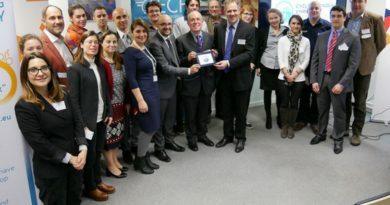 So how do you beat a benchmark? For starters, the Pike revamp brings forward a new chassis, new air spring and new damper. The evolution of the acclaimed Charger, RockShox’s most advanced damper, brings a whole new level of performance and refinement for each intended use. The new damper design provides a wider range of low speed compression adjustment in the Open mode, with a more usable Pedal setting that excels on rolling trails. The Firm setting on Pike and Lyrik has been re-tuned, and remote options with OneLoc provide on-the-fly access to the Firm mode and are an excellent match with RockShox Deluxe, Super Deluxe and Super Deluxe Coil remote rear shocks. A larger negative air spring resulting in plusher suspension. An intuition born on RockShox’s rear shocks back in 2014 is now a benchmark for superior small bump and traction performance. No longer only reserved to rear shocks, RockShox’s DebonAir air springs complement the trail smoothing performance of many forks in our product range. And while incredibly smooth in the first 1/3 of travel, DebonAir forks and shocks still provide the consistent mid-stroke support that riders know and love. Pike has redefined the standard by which all trail and enduro forks are judged, and is poised to keep doing so for many years to come with a completely new chassis, which enables a weight reduction of almost 150g. 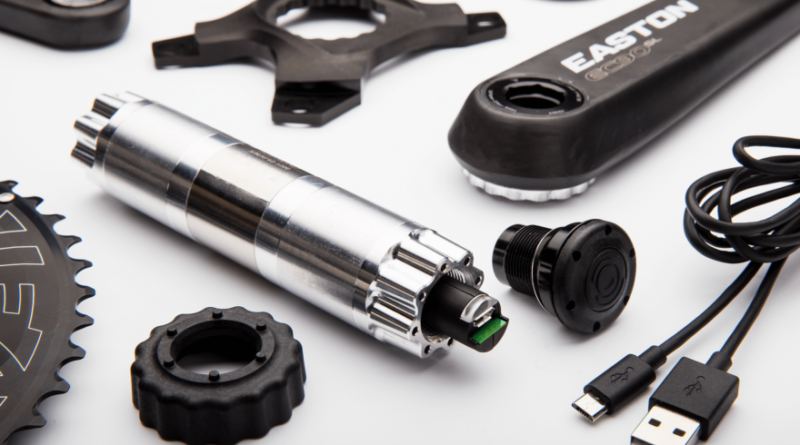 A new Charger 2 damper is now compatible with RockShox’s OneLoc remote for on-the-fly compression adjustments, and a perfect match to Deluxe and Super Deluxe rear shocks. The new DebonAir air spring enhances small bump sensitivity and mid-stroke support. Pike’s travel options are up to 160mm for 27.5” and 140mm for 29” with room for tires up to 2.8” on both models.